You are at:Home»iPhone»Apps»Instagram Won’t Load On WiFi? Here’s The Real Fix For iPhones & iPads! Instagram isn’t working on your iPhone or iPad and you don’t know what to do. It can be incredibly frustrating when the pictures and videos in your Instagram feed just aren’t loading, even though WiFi is turned on. In this article, I’ll explain why Instagram won’t load on WiFi and show you how to fix the problem for good. At this point, we can’t be sure what’s causing your problem. It may be caused by the software or hardware of your iPhone or iPad. 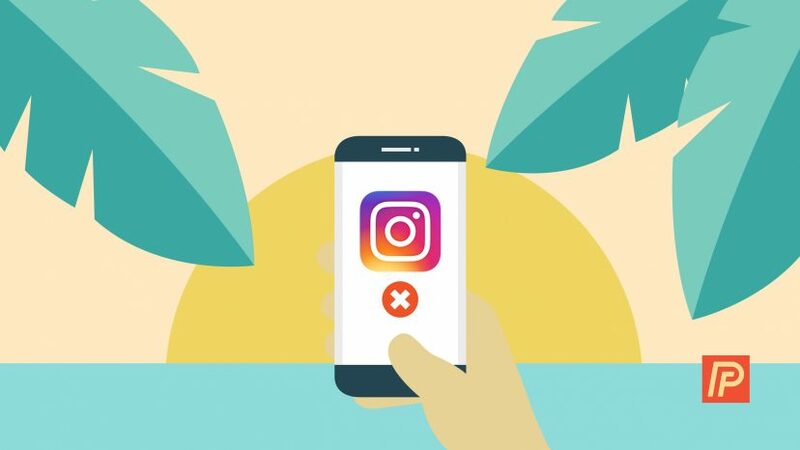 Minor software glitches can cause apps like Instagram to crash or not work properly. Follow this simple step-by-step guide to diagnose why Instagram won’t load on your iPhone or iPad. We’ll start with simple software troubleshooting steps, then get into deeper resets. If Instagram won’t load on WiFi, the quickest troubleshooting step is to close the app and reopen it again. Closing and opening an app is much like turning an iPhone off and back on again — the app gets a fresh start, which can sometimes fix minor bugs or softwares issues. To close out of Instagram, begin by double-tapping the Home button. When you double-tap the Home button, you’ll see the app navigator on your screen (see the screenshot to the right). Use your finger to swipe up on the Instagram app to close it. Now that you’ve closed the app, reopen it and see if Instagram is working again. When an app like Instagram is unresponsive or not working properly, you should check to see if an update is available. Apps are regularly updated to fix bugs and minor software issues. If you’re using an older version of an app, you may experience those bugs that are fixed with an update. To check for updates, go to the App Store and tap the Updates tab at the bottom of the display. You’ll know an update is available if you see a red circle with a white 1 inside of it. One of the most common fixes when an app like Instagram won’t load on WiFi is to delete the app and install it again. Deleting then reinstalling an app can sometimes fix minor software glitches that cause the app not respond properly. Don’t worry — when you delete the Instagram app, your account won’t be deleted. Later, when you reinstall the app, your account and all your photos will still be there! 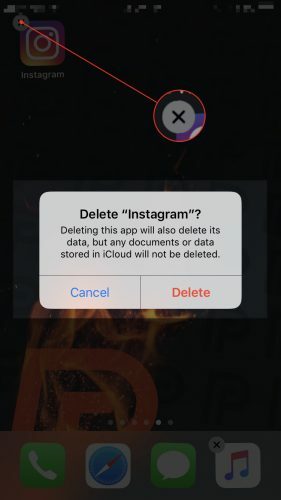 To delete the Instagram app, lightly press and hold the app. When you do this, your apps will jiggle and and “x” will appear in the upper left-hand corner of the icon of every app. 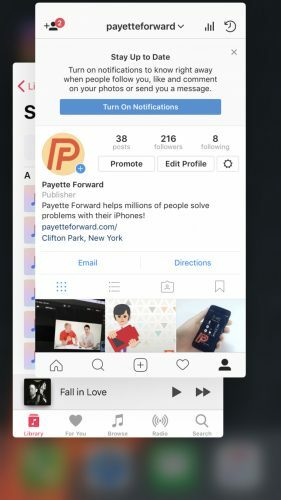 Tap the “x” in the upper-left hand corner of the Instagram app, then press Delete when prompted on the screen (seen the image to the right). Now that the app has been deleted, go back to the App Store and reinstall the app. If the simpler troubleshooting steps didn’t work and Instagram’s servers haven’t gone down, it’s time to go a bit deeper. 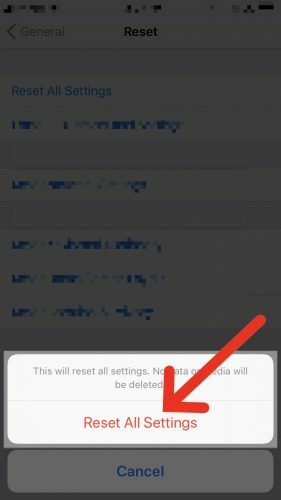 Resetting All Settings will restore all the data in your Settings to factory presets. After your Reset All Settings, you’ll have to reenter all your Wi-Fi passwords, reconnect your Bluetooth devices, and re-optimize your battery, but your contacts, apps, and photos won’t be affected. If a Settings file is corrupted or not working properly, an app such as Instagram may not function properly. Although Resetting All Settings won’t fix every software problem, it can solve problems that would normally be very difficult to find. To Reset All Settings, open the Settings app. Tap General -> Reset -> Reset All Settings. Your iPhone will restart after its settings have been reset. If Instagram still won’t load on WiFi on your iPhone or iPad, our last resort is a DFU (Device Firmware Update) restore. A DFU restore is the most in-depth restore that can be performed on and iPhone or iPad. When doing a DFU restore, your computer or laptop erases, then reloads all the code and files that is used to control the software and hardware of your iPhone or iPad. By completely erasing the code, a DFU restore has the potential to fix software issues. Before completing a DFU restore, make sure to back up the data on your iPhone or iPad, otherwise it’ll be lost forever. To learn how to do a DFU restore, read our DFU article explaining everything you need to know about DFU restores. If you’ve completed all the steps above, but Instagram still won’t load on WiFi, you may have a hardware problem. Fortunately, you have a few repair options. First, you go to your local Apple Store, and we recommend you schedule a Genius Bar appointment before going. If you’re looking to save some money, we also highly recommend Puls, an iPhone repair service that comes to you, whether you’re at home or at the office. They can repair your device within an hour and offer a lifetime warranty on all repairs. Next Article How To Clean Your AirPods – The Best & Safest Way!